and decorated World War II hero! In the pages of this website we want to tell his story. HALIFAX- Paul (Red) Lehman, age 92, of Dunkle School Road, passed away on Thursday, Dec. 24th, 2015 at the Harrisburg Hospital. 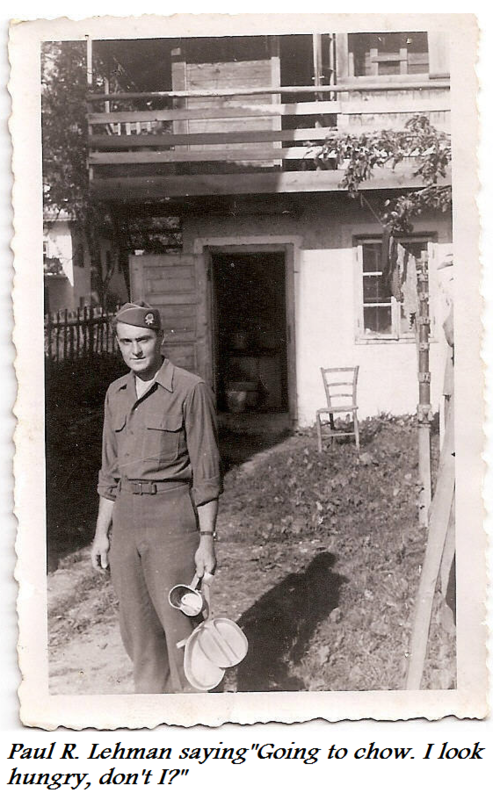 He was born April 4, 1923 in Martinsburg, PA son of the late Charles and Edna (Carper) Lehman. 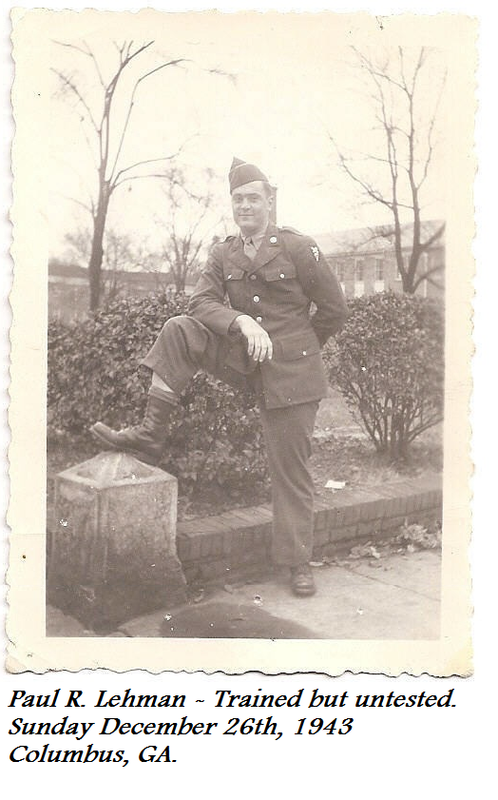 He was a WWII veteran of the Army, his service record included the 101st Airborne 506th Infantry unit serving in Normandy, Rhineland, Ardennes and Central Europe. He was very proud to have been part of the Battle of the Bulge and the Siege of Bastogne. He was a member of Grace UM Church, Millersburg and served on the church building committee , helped with many church projects and was an Adult Sunday School leader. He was active with Gideons International. He was a retired mechanic from Stanley Springs Harrisburg, and headed their front end alignment service. He also drove school bus after retirement. He served as the past president of the Millersburg Rotary Club and had memberships with the Millersburg American Legion and VFW. He was an avid bowler(Reds Team), and didn't miss a state bowling tournament. He enjoyed hunting and gardening. Paul loved his family and his dachshunds, Bandit and Angus. Survivors include his wife, B.Sylvia (Woodward) Lehman; two daughters, Leonice (Bob) Kessler, Lykens and Rose Ann (Gary) Shipp, Millerstown; 1 Step- Son, Stephen (Gail) Sands, Mechanicsburg; 3 Step-Daughters, Connie (Alvin) Deitrich, Lewisberry, Diana (Larry) Paul, Halifax and Cheryl (Raymond) Crum, Halifax; 15 Grandchildren; 33 Great Grandchildren.